If there was an injury or medical emergency in your workplace or home, would someone know what to do and respond accordingly? Calgary based, Rapid Response provides First Aid and CPR courses for individuals which will enable them to respond to emergency situations in the workplace or in the home. All Rapid Response courses are St. John Ambulance certified and are taught by certified instructors with medical backgrounds. We ensure each course is taught in a thorough, yet casual and fun manner. Students will receive a training manual and upon successful completion of the course will be awarded a St. John Ambulance certificate. 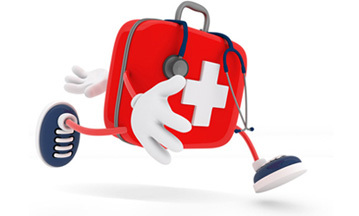 All First Aid certificates are valid for 3 years (see our recertification courses). Stand-alone CPR course certificates do not expire although annual re-training is highly recommended. For your convenience all of our courses are offered at your workplace or at central training locations such as community centres. As my company required us to be trained in first aid and CPR, me and my co-workers took a course through Rapid Response. Most of us have never taken this kind of training before but we’re sure glad we did. Not only did we learn a lot but our instructor made it so much fun so everyone really enjoyed being there (even if it was on a weekend)! I took the Standard First Aid course that Rapid Response offered and not only found it very interesting but Dan Bresnahan, our instructor, made it interesting and enjoyable. But the most important thing for me was that the course is certified through St. John Ambulance and I am now a proud holder of a St. John Ambulance first aid certificate. Through my employer, I took a First Aid course from Rapid Response and found the instructor to be very knowledgeable and professional. He answered all questions posed to him and, on the whole, made the entire course very enjoyable all the while I was learning important emergency first aid skills. I highly recommend Rapid Response to anyone wishing to take a first aid course. 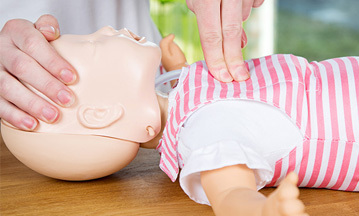 I took a CPR course a number of years ago and decided it was time to take a refresher course and I couldn’t believe the difference in what I had learned from the Rapid Response instructor compared to my previous instructor – it was so much more thorough and much more hands-on! I definitely recommend Rapid Response to anyone considering upgrading their CPR skills. Rapid Response specializes in providing First Aid and CPR training to company’s employees at their place of business, as well as the general public. All courses taught are St. John Ambulance certified and meet Alberta Occupational Health and Safety requirements. Students will receive a training manual and upon successful completion of a course, each student will receive a St. John Ambulance certificate. 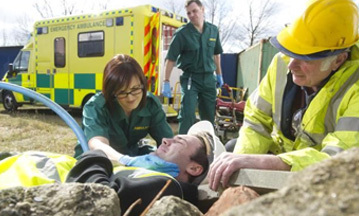 Rapid Response provides individuals with the knowledge and training necessary so that in an emergency situation they know what to do prior to emergency services arrival – which could potentially save a life!